Say “Aloha” to relaxation and fun and “Aloha” to stress and the real world with this week’s Featured Property of the Week. 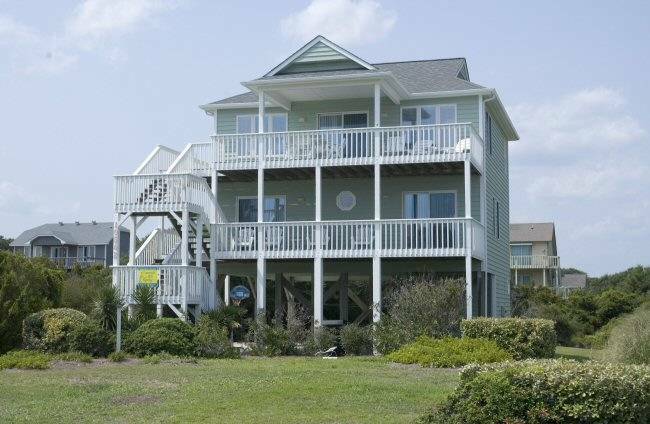 Aloha is a beautiful cottage located on the Second Row in Emerald Isle on Wyndtree Drive. 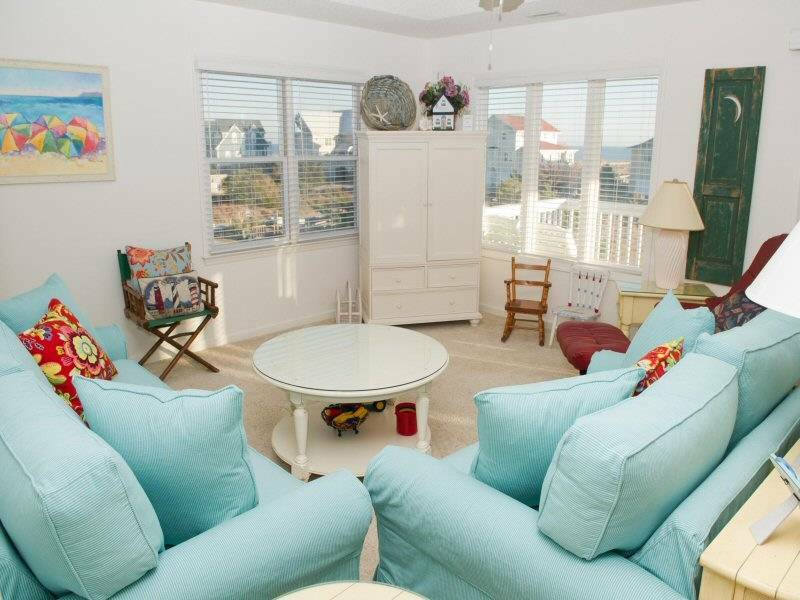 Just one row back from the ocean, this rental provides beautiful ocean views and a short walk to the beach. With four bedrooms and three bathrooms, Aloha is ideal for large family vacations or reunions. Here you’ll find three queen-size beds and two single beds, perfect for children. All the bedrooms are spacious, providing you with a feeling of peace and pure relaxation. Aloha includes Island Club Linen Service, which includes complimentary delivery and pickup from your vacation home, towels, bathrooms, kitchen towels, a custom tote bag and toiletries, such as toothpaste, soap, shampoo and lotion. Also included is gourmet coffee, assorted coupons and bed sheets.  You won’t have to worry about a thing at this great rental! In this beautifully furnished cottage you’ll find a large living room area that can accommodate the whole group as well as a fully equipped kitchen with a breakfast bar and separate dining area. 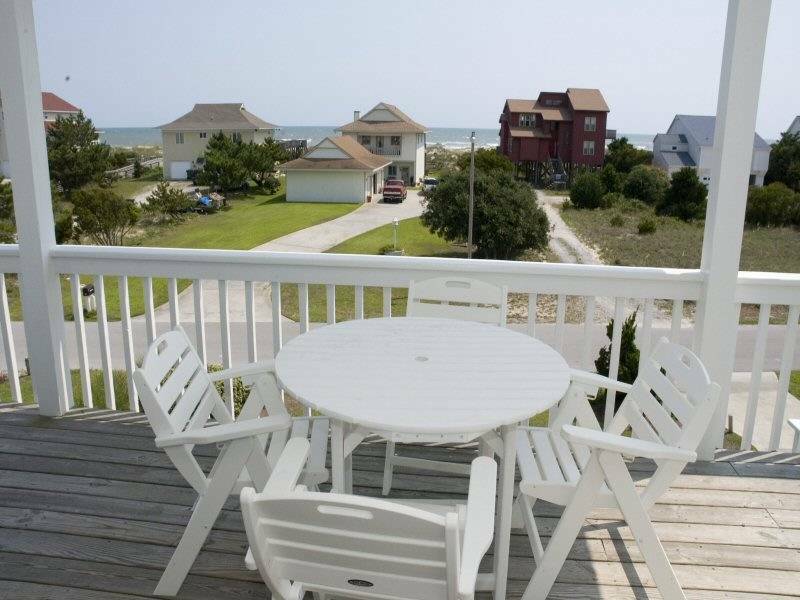 Check out the covered and open decks for beautiful views of the water and surrounding area. Sit back and relax in the porch furniture and just enjoy the views. If you’d like a close up of the beach, no problem! Aloha is just a short walk from the water with easy beach access. Other amenities of Aloha include cable TV, a DVD player, unlimited free long distance calling, carport and an enclosed hot/cold outside shower. The rental is available year-round with affordable prices all year long. Aloha is a great rental for families but don’t just take our word for it. Read customer reviews below and check out more photos of Aloha to see for yourself. For booking information, please call Emerald Isle Realty at 855-891-1962.